ROMSAT, official distributor of CommScope in Ukraine and Georgia presents new optical shelf -SYSTIMAXiPatch96 fiber-LC. 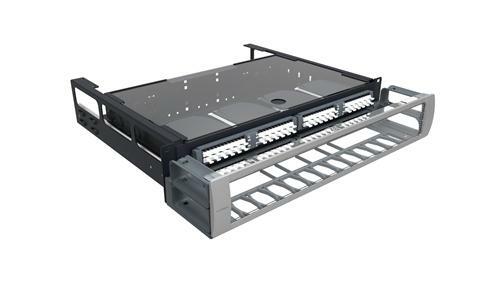 Shelf is available in three configurations: withLazrSPEED, TeraSPEED modules, with LC Connectors or upgrade kits for use with previously installed shelves and panels of this type. ROMSAT also offers a variety of equipment and tools for your optical network infrastructure. Our solutions are ideal for use in high-density data centres and provide rapid deployment and easy transition to next-generation technology. SYSTIMAX iPatch Fiber Shelves 96 fiber-LC are available for order.